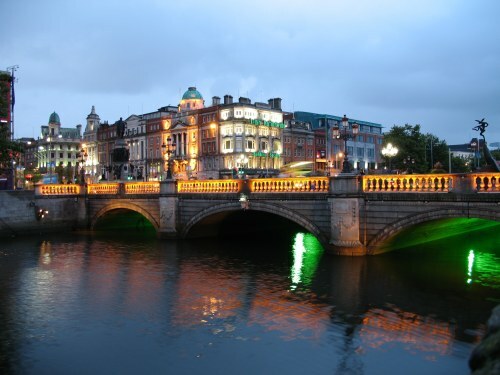 The Star Alliance (Air Canada, United Airlines, Lufthansa) have dropped the price of their flights from Seattle to Dublin, Ireland down to $487 CAD roundtrip including taxes for peak summer travel (August dates). The cheapest flights from Vancouver to Dublin in August are currently going for $872 roundtrip. - Click on the departure date box to open up the calendar view and look for the cheaper date combinations. IMPORTANT: Even though Momondo is showing you the estimated price in $CAD, many of the booking sites showing these fares are in $USD - so watch out for that. TIP: Once your Momondo search completes, try sliding the Max Flight Duration slider on the left down to around 35, to filter out really long flights. You can also try selecting 'Max. 1 Stop' on the left hand side. As you may have noticed, a lot of these flights connect in Vancouver each way. You may be wondering: "Can I just start the trip in Vancouver? Can I just leave the airport in Seattle on the way home?" - Unfortunately you can't just start your journey in Vancouver. It needs to be from Seattle. All airlines automatically cancel the rest of your ticket, as soon as you intentionally miss a leg of the journey. - However, on the way home, you are certainly welcome to end your journey in Vancouver. BUT any checked luggage that you have will still be tagged through to Seattle - so do this when flying with only carry-on luggage. flight deals, seattle, sea, air canada, europe, western europe, dublin, ireland, dub, united kingdom, lufthansa and united airlines. 5 Responses to "Seattle to Dublin, Ireland - $487 to $517 CAD roundtrip including taxes | summer travel"
Booked through travel merry for four, fingers crossed it gets ticketed. No problem Terry, thanks for the update, have a great trip! Any experience booking through Travel Merry? Great price, just nervous to book with them. My return flight is from Dublin to Vancouver and then Vancouver to Seattle. I’m wondering if I will be fined if I fly into Vancouver and then cancel the Vancouver to Seattle flight while I’m in the airport at YVR?